MODEL RELEASED. Immunodeficiency research. 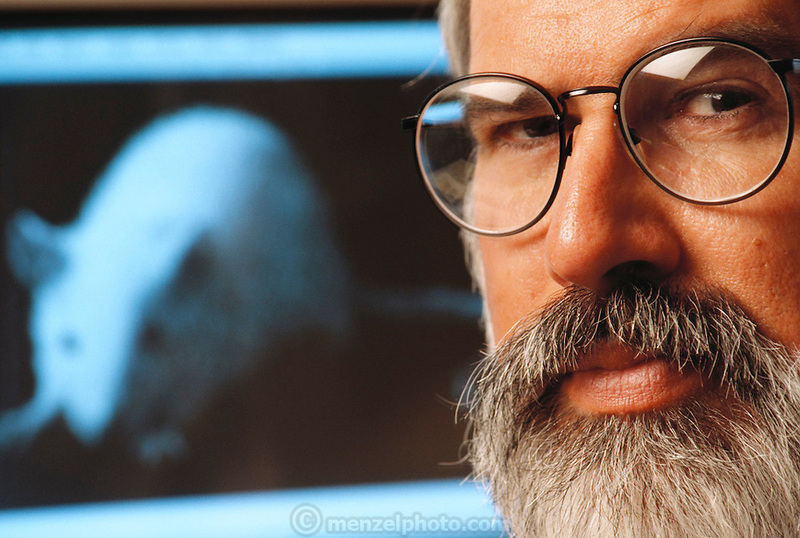 Dr. Don Mosier with a computer display showing a SCID (severe combined immunodeficiency) mouse that he has implanted with a human immune system. This research may help to understand syndromes such as AIDS and SCID. The rare genetic mutation of SCID, found in mice and humans, destroys the immune system and the body is unable to fight infection. Dr Mosier managed to implant disease-fighting human white blood cells into SCID mice giving them a permanent human immune system. This breakthrough enables researchers at the Scripps Research Institute in California, USA, to study human immune disorders such as AIDS, leukemia and allergies. MODEL RELEASED.